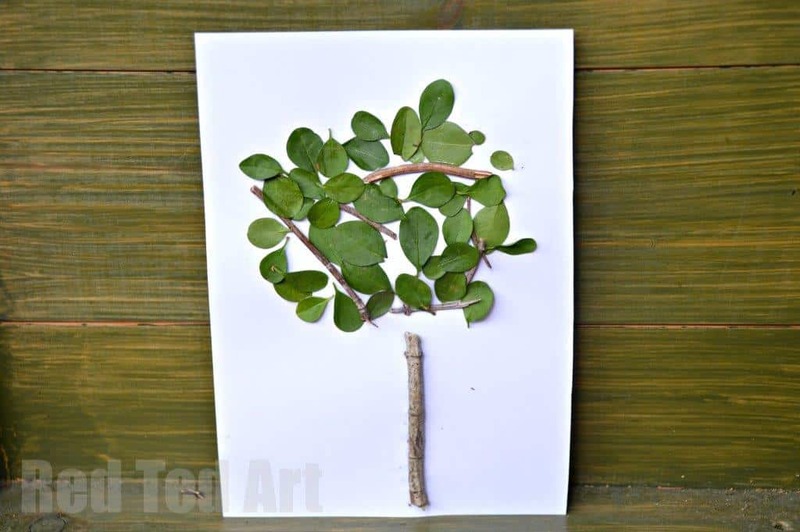 Easy NATURE Summer Arts and Crafts for Preschoolers. 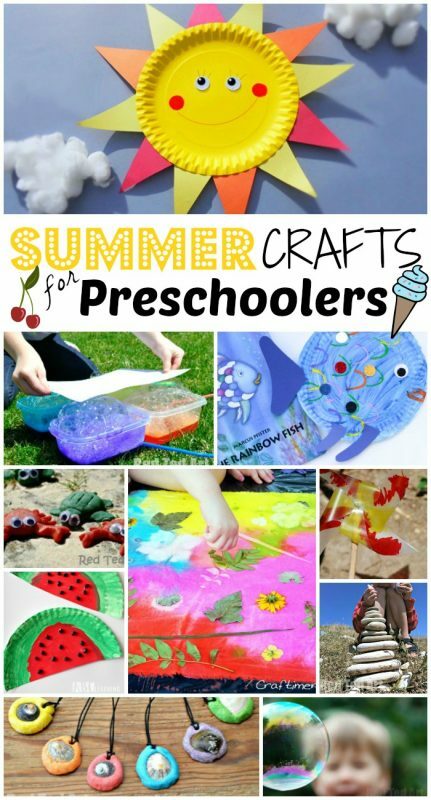 We do LOVE easy Summer Crafts for Preschoolers and today have another preschool summer art project for you. 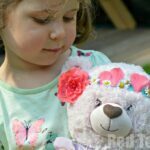 This compliments our previous Four Season Nature activities, If you have been reading my blog for a while, you will know, that I love exploring the four seasons with my kids. 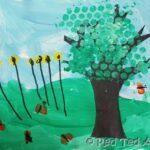 Today is a great Four Seasons Summer Tree project bringing the kids closer to nature. Each year we have a different four seasons project that we slowly complete season by season throughout the year. As for our previous four seasons projects, I avoided damaging any plants … well kind of. 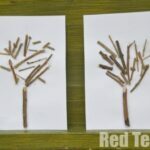 We collected sticks on a walk and we took small leaves from our hedge.. I don’t think it will suffer! 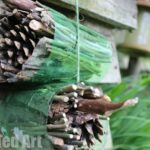 When crafting with nature, I do think it is important not to raze nature down to the ground! 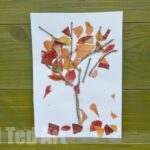 1) I planned this craft for the beginning of (our) Summer holidays, as I wanted to make time and space for Red Ted to join in. School hours are so long here that we have so much less time together. But guess what, he didn’t want to join in! He did join in with the stick and leaf collecting… and he cocked and interested ear when I talked to them about why the leaves were green (I talked about chlorophyll and photosynthesis), but didn’t take part in the craft. Still, half of the aim of the session achieved! We talked about the seasons and about nature and learnt a little bit of science! 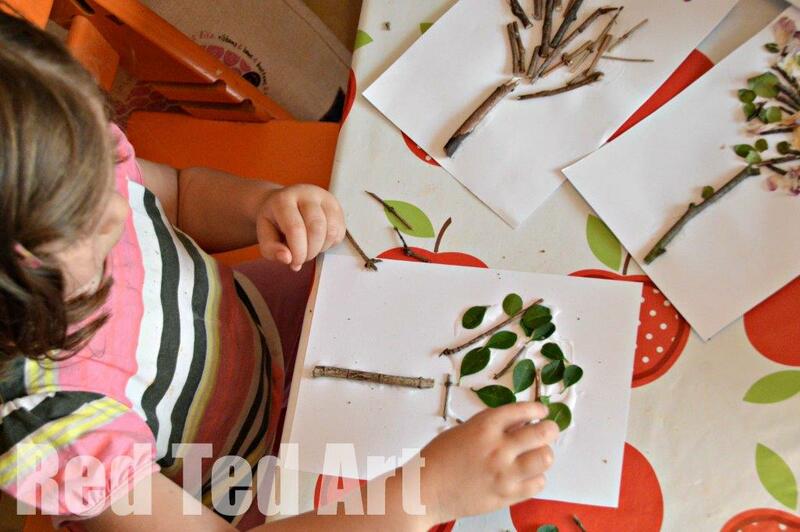 Pip Squeak used our previous art as “guidance” for how to make her tree. She also looked out of the window and said “look mummy, it isn’t JUST lots of leaves, you need to be able to see some sticks too, I can see sticks”. Aaah. Good girl. 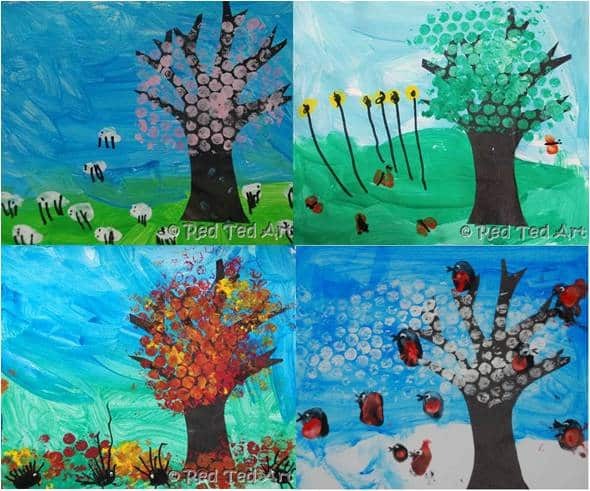 And here are our four seasons crafts to date: Winter, Spring and Summer… only one more to go! 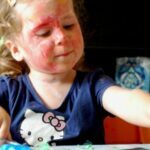 Here are our previous projects. 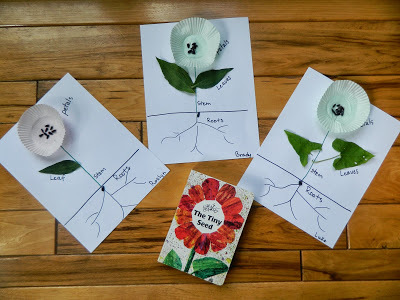 This week’s featured blog is Like Mama Like Daughter – thank you for linking up the “link party” last week with your Plant Exploration! A perfect fit with our Summer Trees and connecting with nature more! 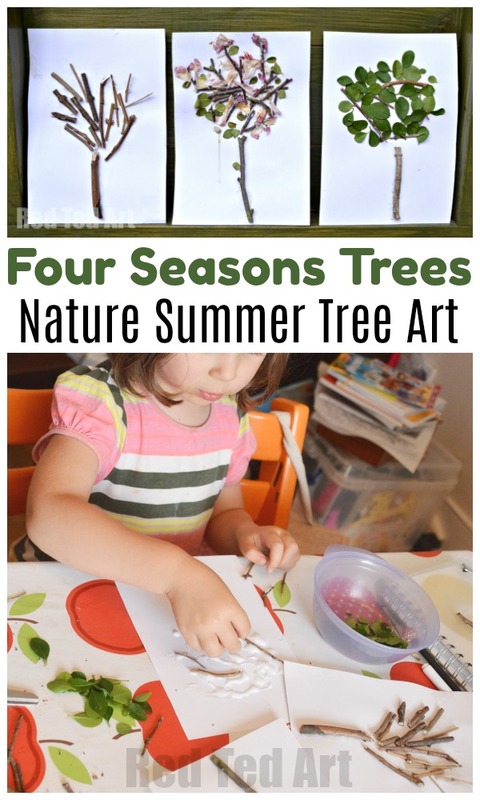 How will you look at The Four Seasons with your kids? Hooray!! Great to see you here Kate and so pleased you like what you found! Thank you Emma, we are quite partial to them too. 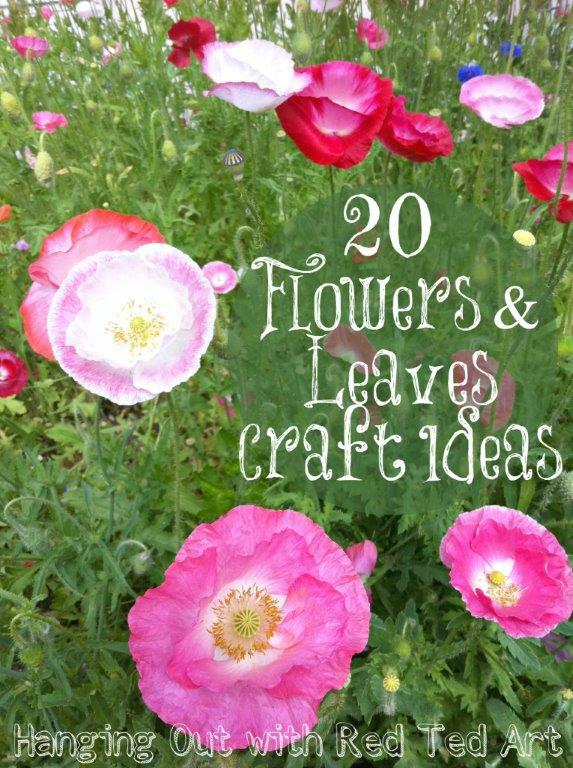 I know it is a simple craft… but still lovely! 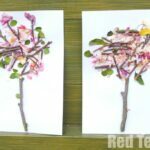 Love the idea of making trees out of actual bits of trees, great attention to detail too! 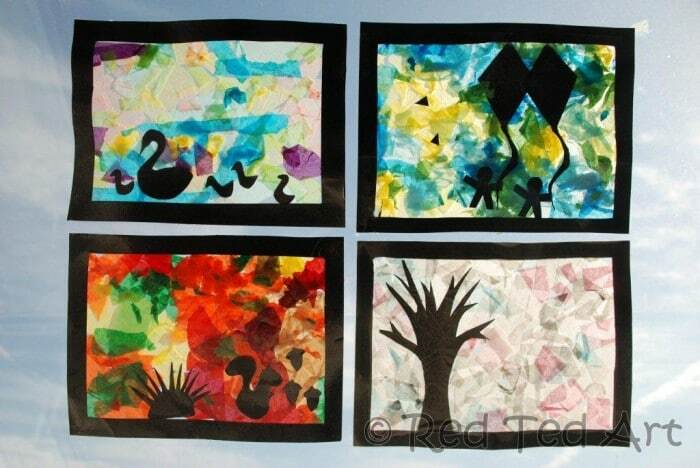 This is very simple and beautiful.. this will be very useful for my 4yr old kid. Understanding nature. Thanks for sharing.